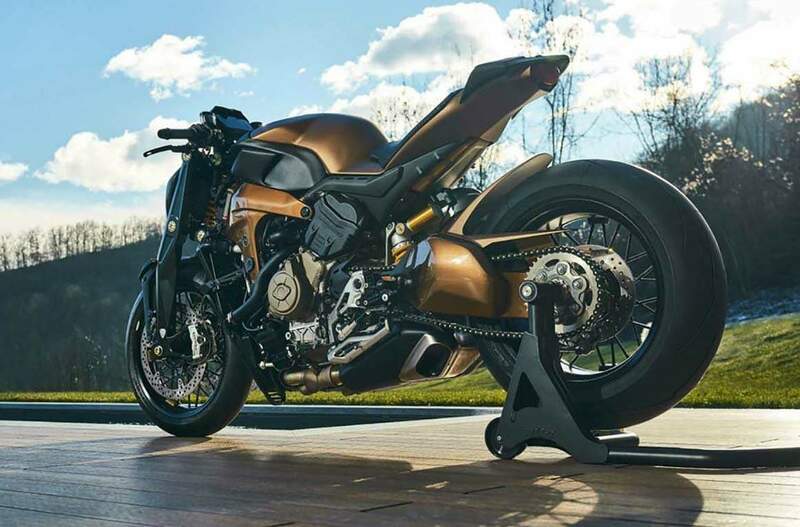 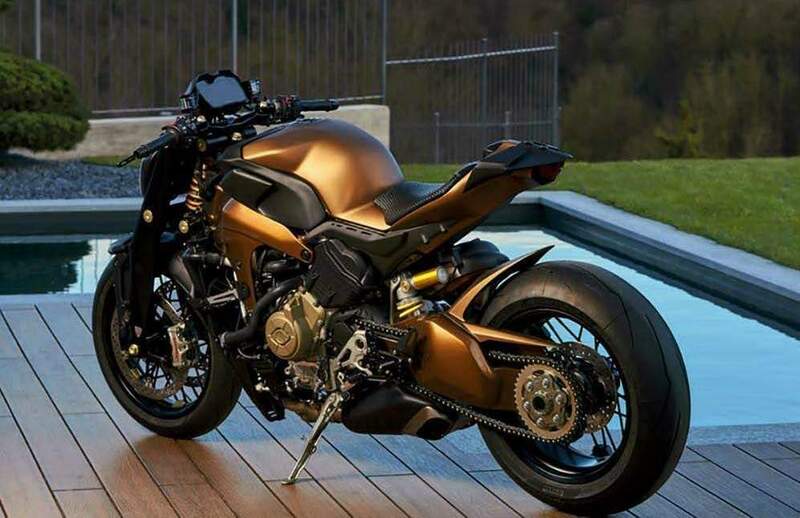 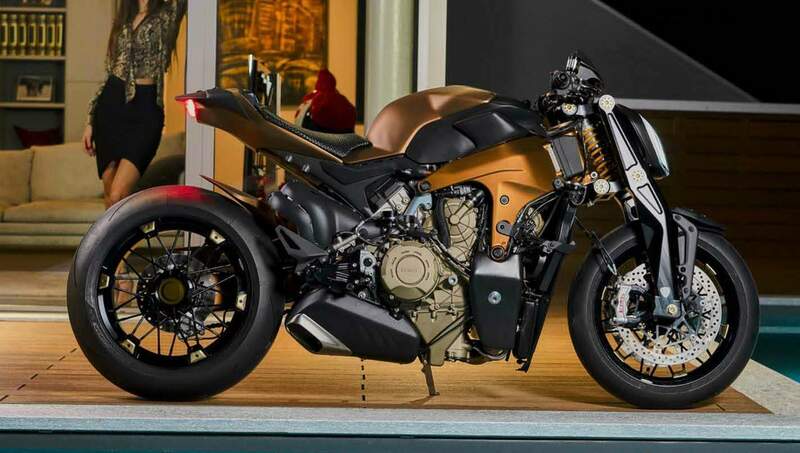 Based on the Ducati Panigale V4, the V4 Penta has been created by the Italian company Officine GP Design, which is their most ambitious project so far. 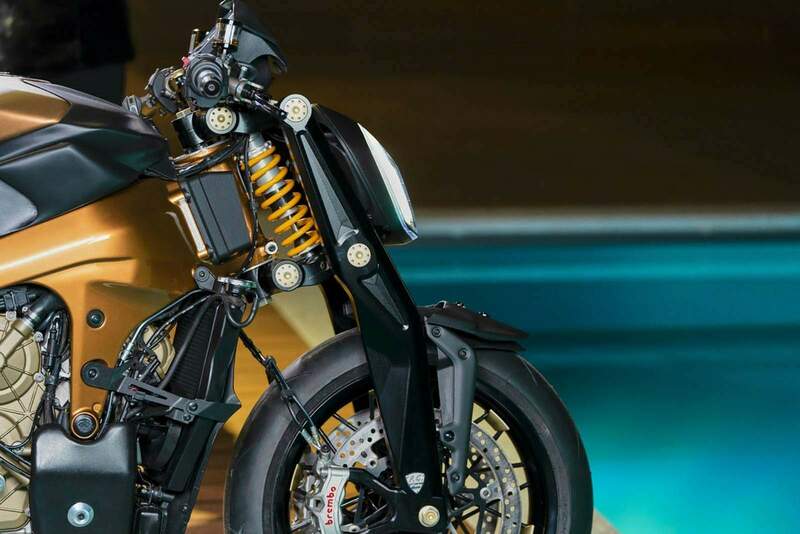 V4 Penta is, in fact, the number zero of nine another models, supplied by a numbered plate, for a super exclusive special series. 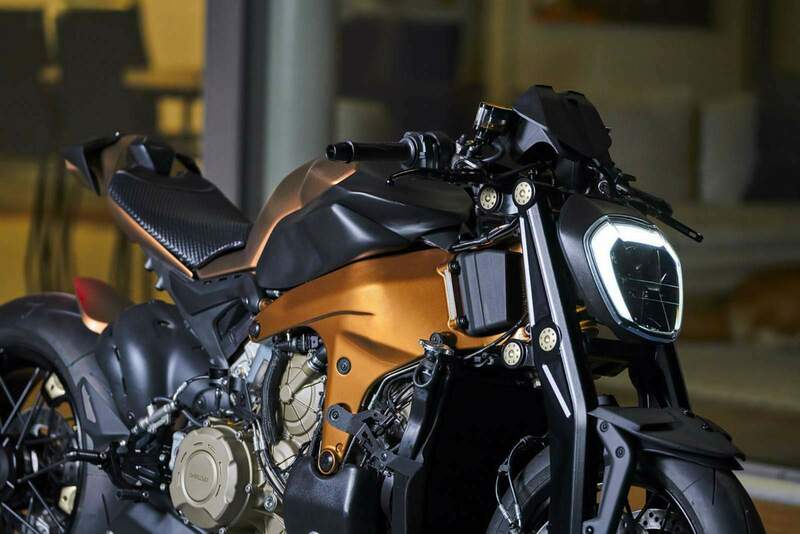 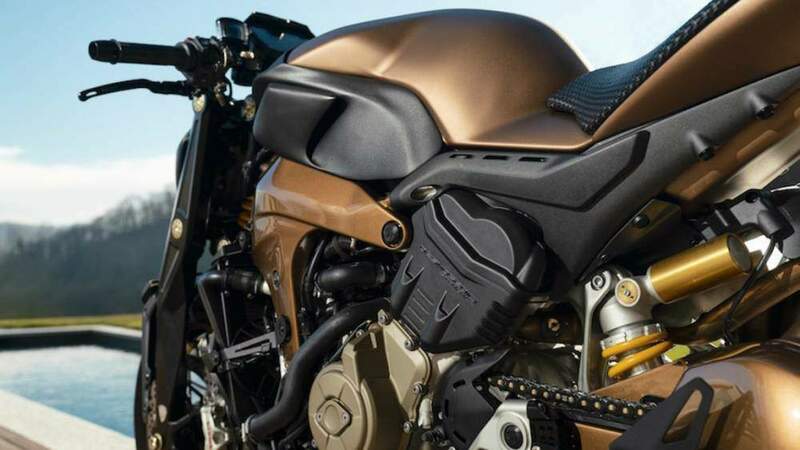 The V4 Penta features a new purpose-built tank cover, front and rear lights from other Ducati models, like the XDiavel headlight, customized Jonich SX alloy spoked wheels, a front fork with semi handlebars, which has been designed exclusively for Officine GP Design by FG Racing and a hand woven Foglizzo Leather saddle, with a leather backrest insert, and the raised V4 Penta logo. 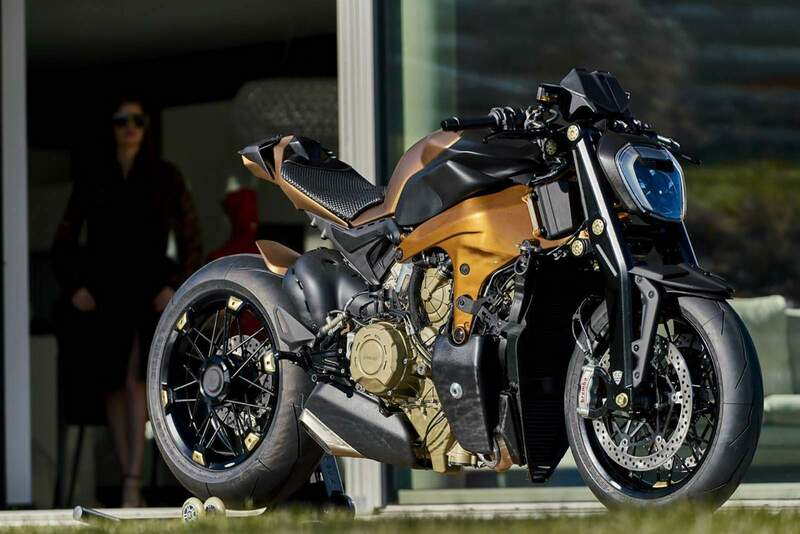 Tank kit, fuel cap, levers and footrests are provided by the official Ducati partner, Rizoma, and they are supplied as standard equipment on V4 Penta.